The report also provides information on the state of the practice, challenges and opportunities related to the evaluation of Complete Streets projects and initiatives. Integrating project evaluation into Complete Streets planning and implementation practices is vital for supporting wider adoption of Complete Streets into communities across Ontario. The evaluation of projects is especially important in the context of the Provincial Policy Statement (PPS) Performance Monitoring Framework, which emphasizes the need for indicators to evaluate public policy and impacts of initiatives. The report was produced during the second phase of a research project funded by the Places to Grow Implementation Fund. The first part of this research was a Complete Streets Catalogue released in December 2014 (updated March 16, 2015). The Catalogue includes examples of Complete Streets projects across the Greater Golden Horseshoe (GGH). It provides an easy-to-navigate summary of what is being built on the ground so that municipalities seeking to implement their own projects can refer to existing examples and tailor approaches to their own needs. 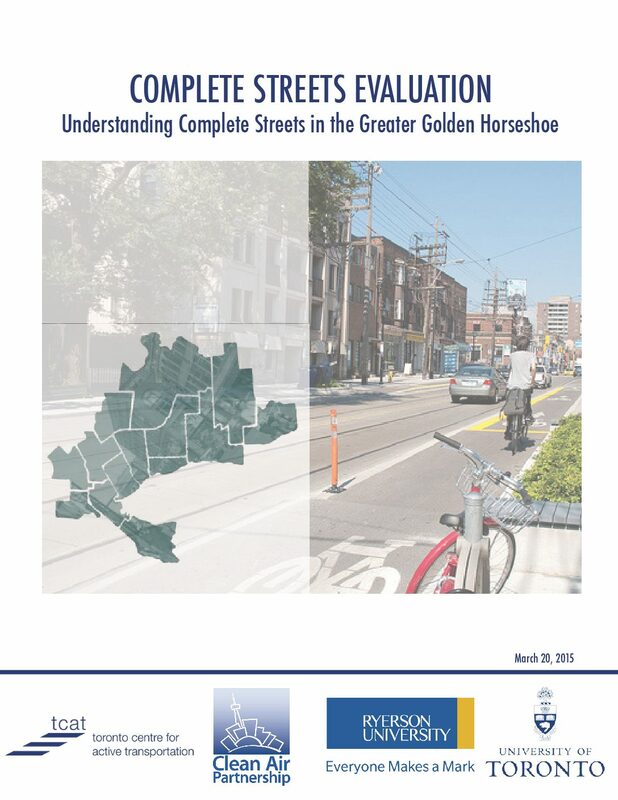 The Complete Streets Evaluation Tool was released on March 19, 2015, and is available as a PDF file below.